Sometimes you simply have to assess a situation and say, “Dammit, it’s me or no one.” And if you can’t live with no one, then you have to take action. 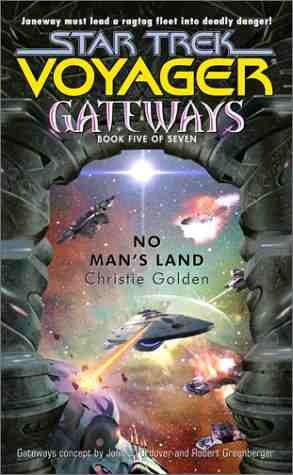 Lately, it seems that Pocket Books has begun leaning towards Star Trek books that are more or less independent of the four main franchises (for those not in-the-know, that’s the Original Series, the Next Generation, Deep Space Nine, and Voyager). 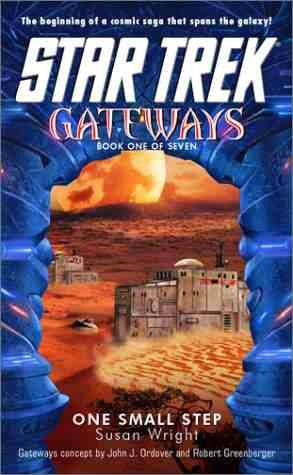 According to the releases slated for this year, we’ve got a book that builds on the New Earth set of books, and the beginning of Deep Space Nine novels that take place after the series finale. 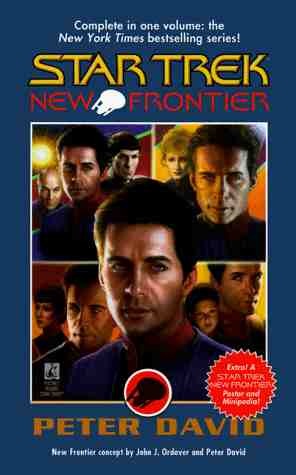 But these probably wouldn’t have been possible without the New Frontier books. Peter David’s been writing Star Trek for a long time (at least as far back as the fifth original Next Generation novel), and has been regarded as a fan favorite. 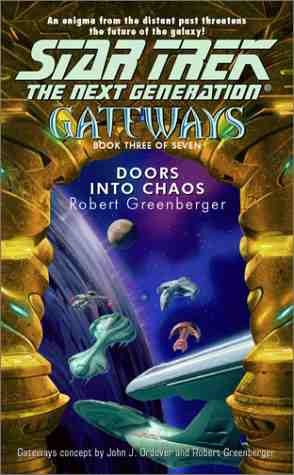 That put me in a favorable frame of mind when there was the announcement that there would be a series of four books in 1997 that would take place with “a new ship, a new crew, and a new mission”. With House of Cards, Into the Void, The Two-Front War, and End Game, readers were treated to the exploits of Captain Mackenzie Calhoun and the U.S.S. Excalibur. 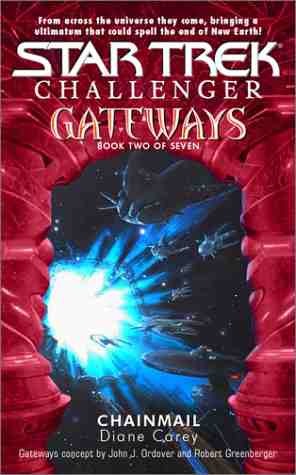 These books were later re-released as a single collected edition. 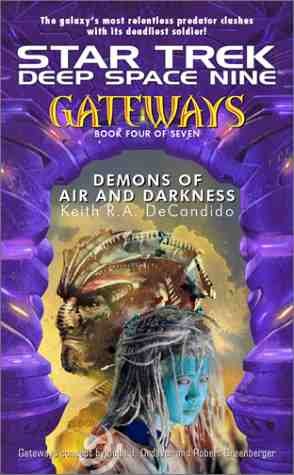 The early portion of the book takes place in the past, showing the early life of the boy M’k’n’zy of Calhoun, on the planet Xenex, leading a revolt against a race called the Danteri; an incident on the planet Thallon with a Vulcan woman named Soleta and another Vulcan of considerable fame; and Dr. Selar (formerly of Picard’s Enterprise), returning home to Vulcan to deal with Ponn farr. After that, though, we hit the present time-chronologically sometime shortly after the events of the movie First Contact. A sector of space (221-G) has fallen into anarchy, due to the fall of the Thallonian Empire. It is decided that the Federation should send a ship for humanitarian aid and exploration into Thallonian space. The crew is a diverse one; Calhoun is a bit of a maverick, which is pointed out by a number of officers in Starfleet. Elizabeth Shelby (seen in the Next Generation episodes “The Best of Both Worlds”) is a strict, by the book officer, but she has a past with Calhoun. 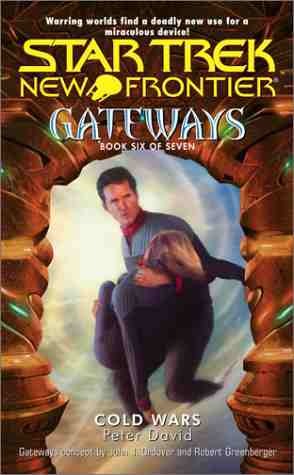 Zak Kebron is the Brikar security officer, who gets some of the best lines in these books, in my opinion. Soleta and Selar get a fair amount of attention, due to a subplot that I wouldn’t want to ruin for anyone. And these are just the characters who get the most time in these books, with a single, non-Starfleet addition, who just gets along quite badly with Kebron. I had pretty high expectations for these books, and Peter David didn’t disappoint. His past books have blended humorous moments with some deadly serious material, and for the most part he’s mixed them well. He also has a reputation for exploiting the history behind the various Star Trek franchises. He continues to do so here; this is probably what has contributed to the continuing success of the New Frontier novels (now up to 11 books and with at least one more scheduled in ’01). But a word of warning: this probably isn’t a series that should be started with someone who has no clue about Star Trek. 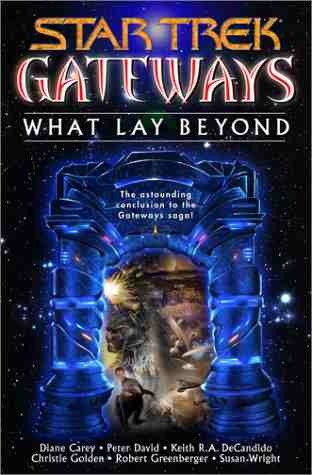 This is a series whose appeal is tied directly to the reader’s familiarity with the entire Star Trek line.